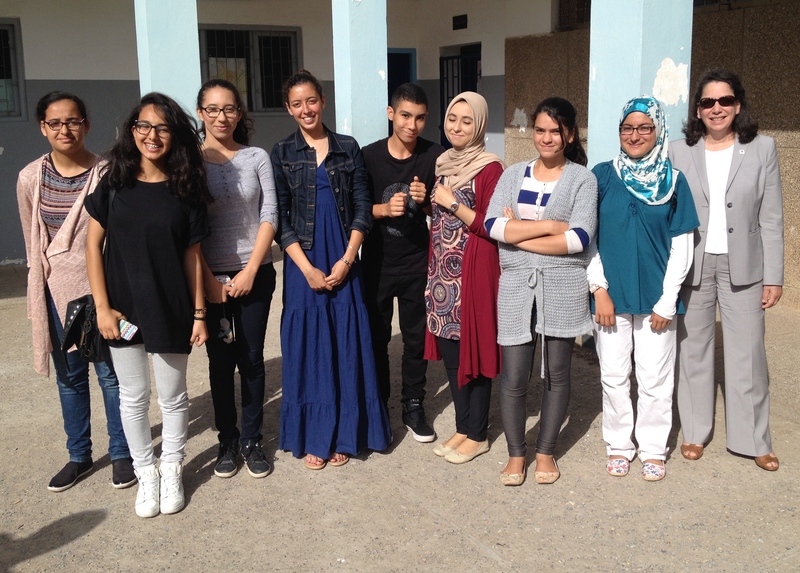 MCC Deputy CEO Nancy Lee meets with students in Morocco on a recent trip. 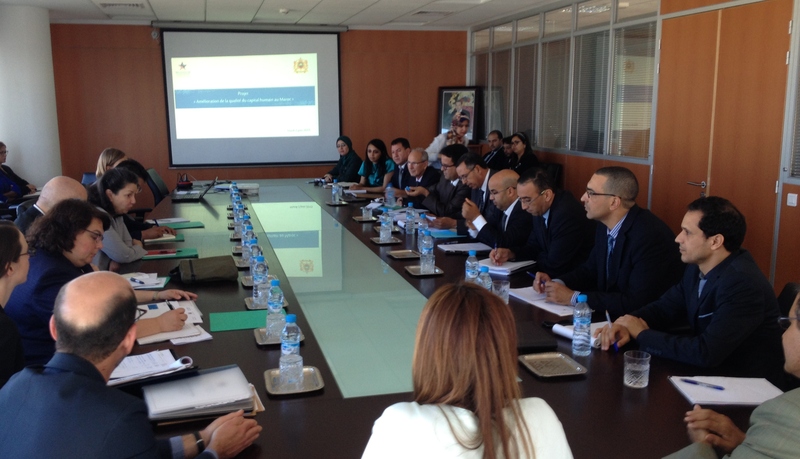 She also met with the head of government, school principals, private sector employers, and members of civil society to explore deploying payments for results in vocational and secondary school training programs as part of the development of a second compact with the government of Morocco. At MCC, measurement of results and impact drives what we do, how we do it, and how we evaluate it. Before approving projects we perform detailed economic analyses to identify binding constraints on the growth of our partners’ economies. We also require that specific project proposals be justified by evidence and can meet a minimum economic rate of return. MCC invests significant resources in rigorous monitoring and evaluation during and beyond the compacts. Now we’re taking our focus on results to the next level by using innovative tools to tie funding to results achieved rather than inputs purchased. Payments for results are very much aligned with the MCC focus on accountability, and with recent strategic recommendations of the President’s Global Development Council. In my recent trip to Morocco, as we move to the final stages of compact development, I discussed this new approach with a whole range of people, from the head of government to school principals to major private sector employers and to civil society. I found in Morocco a refreshing willingness to innovate. Together we are exploring deploying payments for results in vocational and secondary school training programs to give young people employability skills and jobs. MCC Deputy CEO Nancy Lee met with government officials in Morocco to discusses development of a second compact. In coming months, MCC will work with Morocco to consider a range of innovative “pay for results” tools to push the envelope in education and training. We plan to measure success in ways that matter to Moroccans—the number of trained youth who are placed in jobs and the share of secondary school students who can pass competency-based exams. In secondary education, the idea is to support government work to increase school accountability while giving a set of pilot schools the training, capacity, and budget control needed to achieve results targets. We are exploring the best way to provide bonus payments to those schools that reach ambitious “stretch” targets in student competencies. We are also exploring launching a Social Impact Bond (SIB) to support employment programs for vulnerable populations. In this case, investors in SIBs would provide the initial capital to a service provider to help at-risk youth get jobs. The Moroccan Government and MCC would commit to repaying, with a return, the investors if (and only if) the service provider is able to place the target group in jobs. If successful, this would be the first SIB in the Middle East/North Africa region. In technical training, we are exploring incentives for training centers to make sure their trainees get jobs, to promote training and placement of women in non-traditional jobs, and to reach the most disadvantaged groups, including the urban unemployed. I was pleased that in all my meetings with government leadership and our Moroccan counterparts, I found a shared commitment to this approach. It was good to see the strong partnership and mutual respect that our two teams and our two countries share. With this strong relationship, dedicated expert teams on both sides, and a desire to innovate for results, we are laying the foundation for a successful and path-breaking compact.